Beauty with charm. 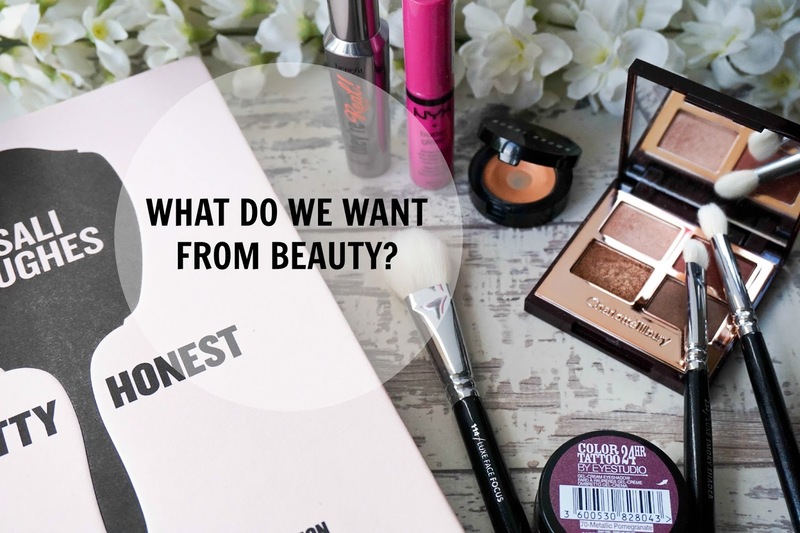 : What do we WANT from Beauty? What do we WANT from Beauty? This might seem like an odd post to be reading on a beauty blogger's page or maybe you immediately think I'm strange altogether, and that's ok too. A question that always lies in the back of my mind wether I think about it or not is what exactly is it that I am searching for in the beauty world? Why is it that I am so obsessed with everything beauty related? So much so that having one foundation, one blush, one highlighter, one lipstick, etc is simply not enough for me? Why do I feel the need to constantly add to my makeup collection even if I've probably got enough to last me a lifetime? Why do I read other people's blog posts on beauty with such a thrill & get excited about watching a makeup tutorial on YouTube? I guess the list of why I am completely emerged in the beauty & makeup industry is endless and I certainly don't have the exact answers for any of the above questions. What I do know is that I simply enjoy it, but is that enough to be as beauty crazed as I am or is there something deeper. It's only in the past couple of years that the beauty world literally boomed and it was also when I started to show a great interest to it. I mean I always enjoyed creating a bit of a smokey eye & applying mascara but I was never as obsessed as I am now. The beauty world is on a high & products for every single need, ones that you might have never even thought of before are being released constantly & in turn we are always faced with more & more product images. But personally I don't think that's why I'm beauty obsessed. I've just come to love makeup, to be excited about learning every skincare tip in the book & to want to pamper myself on a weekly basis (I'm talking hair, body, nails, the lot). Opening a freshly delivered box of beauty goodies is so exciting for me & then of course getting to touch, sniff, swatch & then apply the products to my skin is even better. It's just something I am extremely passionate about & I guess you could call it a hobby (a very pricey one at that) but I love trying out similar products from different brands, comparing & seeing how they differ/how they are alike as if it's my job to do so. I love to constantly be in the known with makeup trends or beauty releases, as if I'm missing out if I haven't tried a particular product yet. What I love most is reading honest reviews from bloggers like me who put a lot of time/effort into creating that particular review that you are searching for. If I'm ready to splurge on something I will read as many possible reviews as I can before weighing the pros & cons. The beauty world helps me make up my mind and gives me an armoured shield against makeup sales assistant trying to sell me whatever they can, because in my mind I'm fully prepared & aware. What I love most of all from the beauty world is seeing real people putting their true passion on their corners of the Internet & giving it their all. 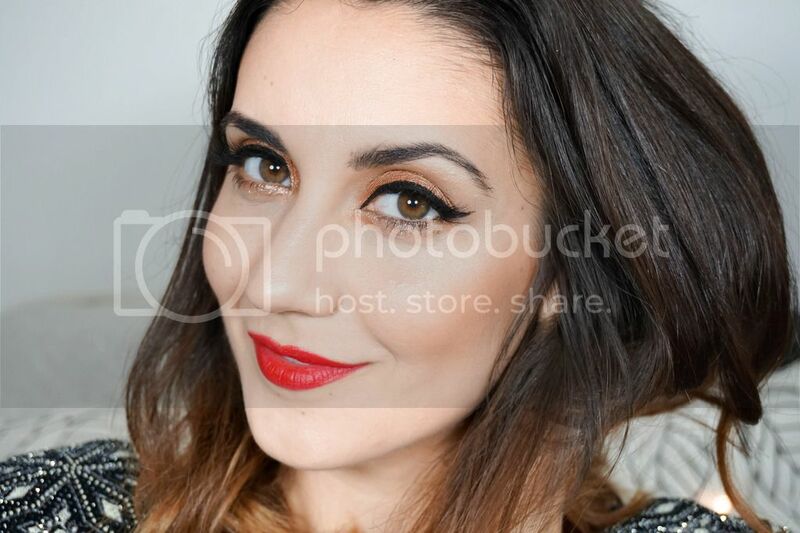 As a blogger I know how much work goes into creating a makeup look or reviewing a product, so of course seeing such amazing work from so many talented bloggers is why I want to constantly be part of this beauty community.